Marketing for any business can be tough. But it is especially vital for salon owners as customers are the life blood of their business. Without customers, the business would simply fail to succeed. At Kaizen, our team of designers are not only very talented, but also experienced and know exactly what does and doesn’t work. So you can be sure that your marketing needs are safe in their hands. But what do we have to offer? We have a range of products that are ideal for hair and beauty salons. From appointment cards to prices lists. We know what’s what, and we’re here to help. These are a vital part of any salon. Sure, many customers use their phones these days to keep note of important meetings and appointments, but these cards still play an important part. Appointment cards are a physical record of the next time your client will see you. Printed in bulk, these are an essential product to making sure your clients never miss an appointment. These lists are great as they let your clients know all of the services and products you have to offer. Not only do they inform customers of what you can do, but they also tell them the price. At Kaizen, we print your price lists in bulk so your clients can take your price lists away. This also allows them to pass on your price lists to their friends and family, potentially bringing in more custom! Posters are a great way to advertise a new service or product in your salon. These are a simple but effective way of marketing your business. Display in the windows of your salon to attract the attention of passers by, or put smaller ones up on the walls so your clients can read them while getting their hair done. Either way, posters are an eye-catching way of reinforcing brand messages. Gift vouchers are the perfect way to make money through your salon. These are the prefect presents for your clients, who can go home and drop hints to the hubby. But your existing clients can gift these to their friends and family – potentially bringing new customers into your salon. Like posters, these are a low cost, simple and effective marketing technique which draws attention to new services or products. However, like the price list, we print these in bulk so your customers can take them away and show their friends and family. Being A5 in size, our flyers are perfect for your clients to pop in their handbags. Why not capitalise on new services or products by combining a selection of the products on this list to make sure you get the most out of your salon printing. 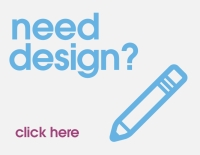 If you would like a bespoke design, then get in contact with our design team, who are experts in their field, are on hand to help you bring your ideas to life.